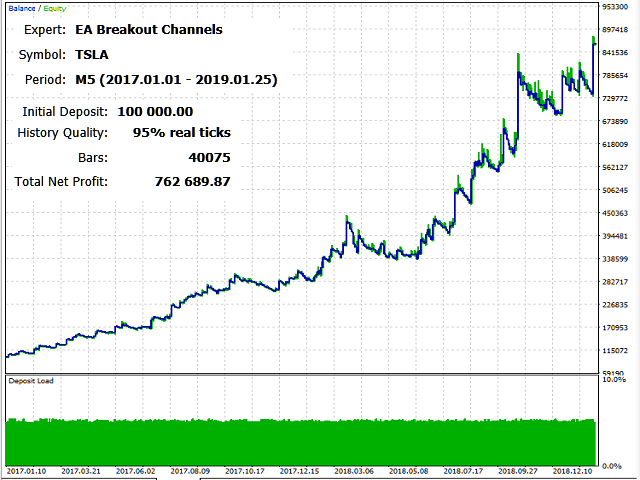 Trading Advisor "EA Breakout Channels" is intended solely for the exchange trade stocks and ETF. 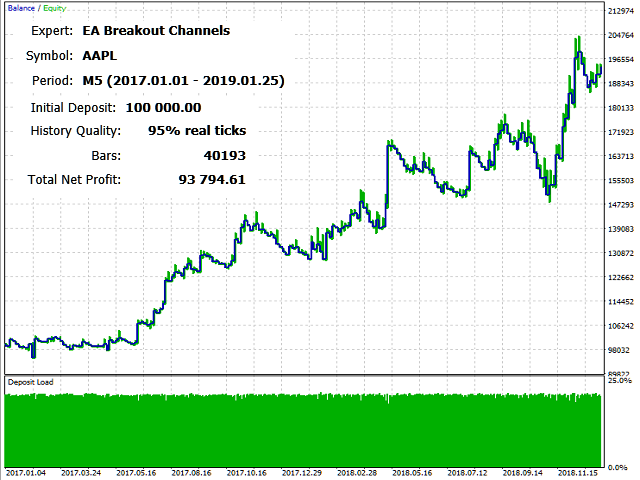 The trading advisor is based on the Bollinger Bands and Price Channel indicators. 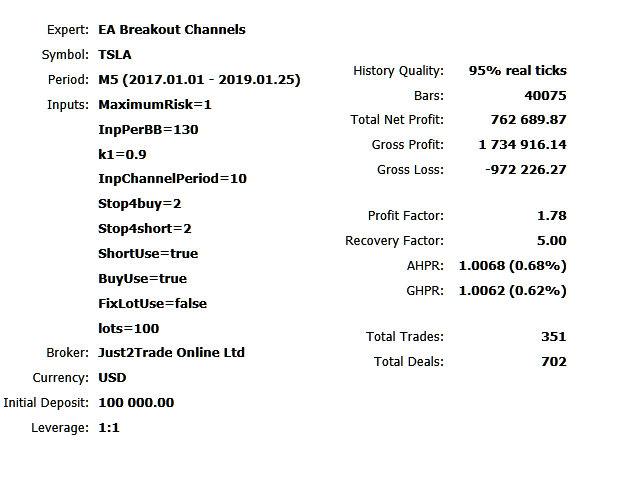 Trading Advisor opens both long and short positions. It is possible to disable short or long positions in the parameters. The working period of the adviser is 5 minutes , transactions are made after the candle is closed. Each transaction is accompanied by a stop order, the level of stops is recommended not more than 2 percent, the transaction can be closed at a loss before the stop. 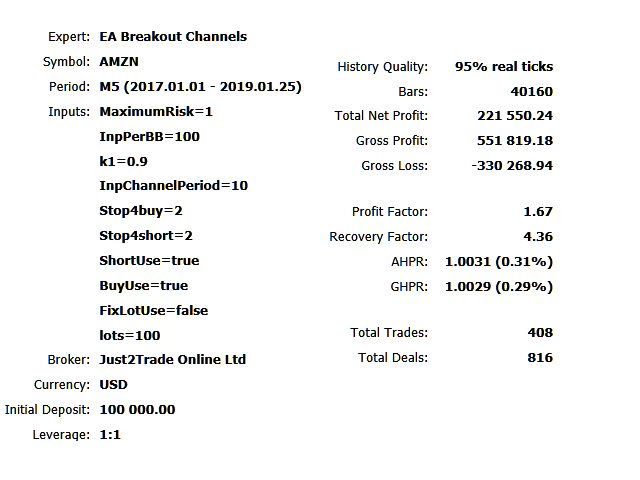 MaximumRisk - % of the capital on which the adviser trades, a value equal to 1 - means 100%, 0.98 is recommended. etc. But if you exceed the allowed limit, then there will be no transactions, the recommended leverage is no more than 2. 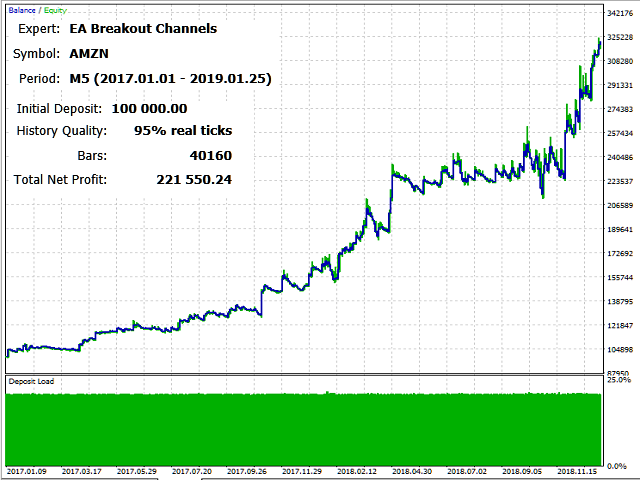 InpPerBB - period of the Bollinger Bands indicator. 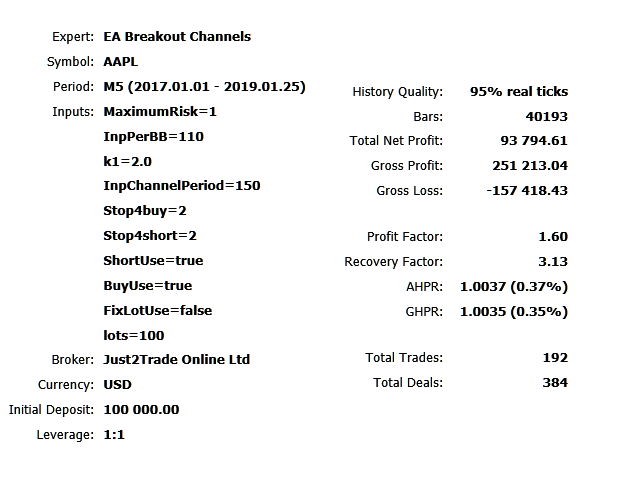 ShortUse - the parameter that allows the advisor to make short transactions (sales in short); the default is set to " true "
BuyUse - the parameter that allows the adviser to make long trades (purchases), the default is set to " true "
Lots - the number of minimum lots of the instrument that will be used to open a position if FixLotUse = " true "